Program Description: Issues to be aware of and questions to ask about proposed planned gifts, “unusual assets,” and the policies and systems that can help you keep “interesting” gifts from becoming problems. Topics will include non-cash assets, endowments, planned giving vehicles and donor recognition. We will use case studies to discuss a variety every-day and not-so-every-day situations development officers may encounter. 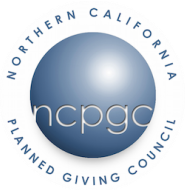 Program Description: Donor Advised Funds represent an opportunity to secure support for your organization and cultivate donor relationships. In spite of this, rumors, such as they unfairly compete with "real" charities, continue to persist. And, to be sure, donor advised funds come with a few quirky and at times counter-intuitive rules that can be traps for the unwary. In this presentation, we will explore the history and legal framework of donor advised funds and we will dispell some of the rumors about donor advised funds to show how they can work to your fundraising advantage. We will also provide examples of how donors, donor advised fund sponsors, and charity grantees can work together to create ideal gifts.